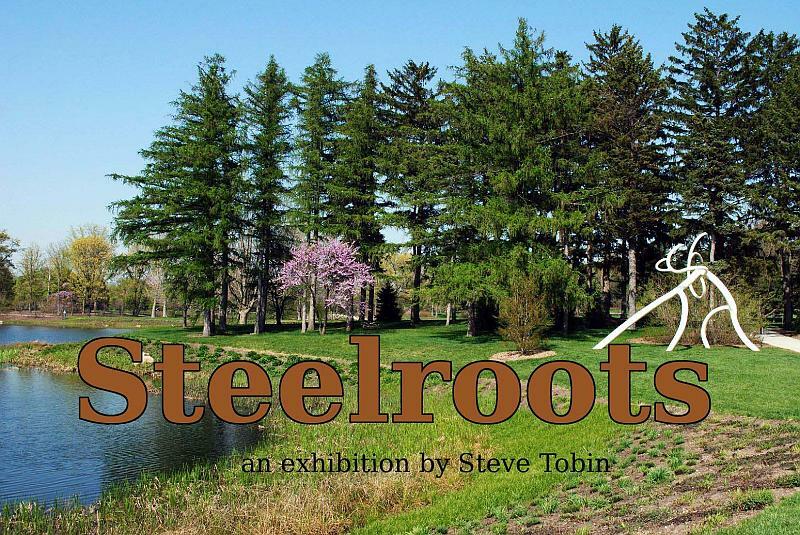 Steelroots, the creation of Pennsylvania artist Steve Tobin, is located at the Morton Arboretum in Lisle, Illinois. Inspired by nature, Steelroots consists of 14 sculptures of rolled and bent steel pipes that soar up to 40 feet high along a half-mile path . The exhibit opened April 2010 and remained through January 2011. This one is 20 ft. high. 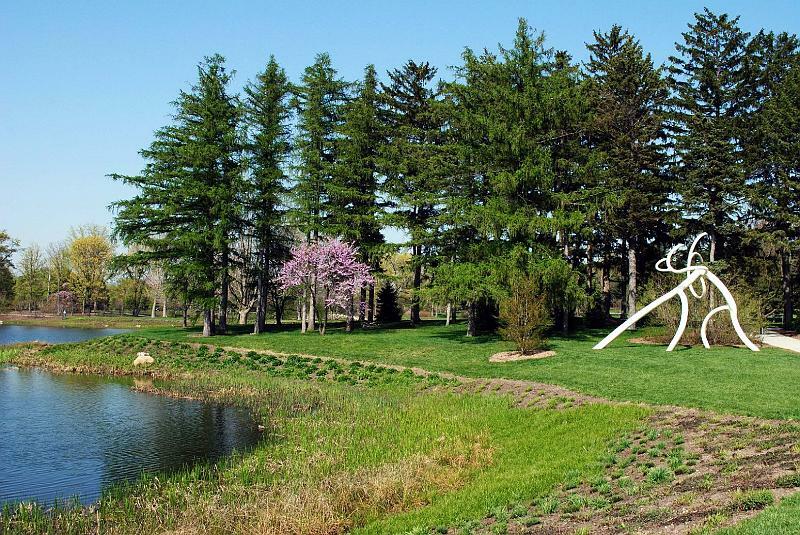 Tobin's work can be found on display around the world, but the Morton Arboretum is his first major exhibit. 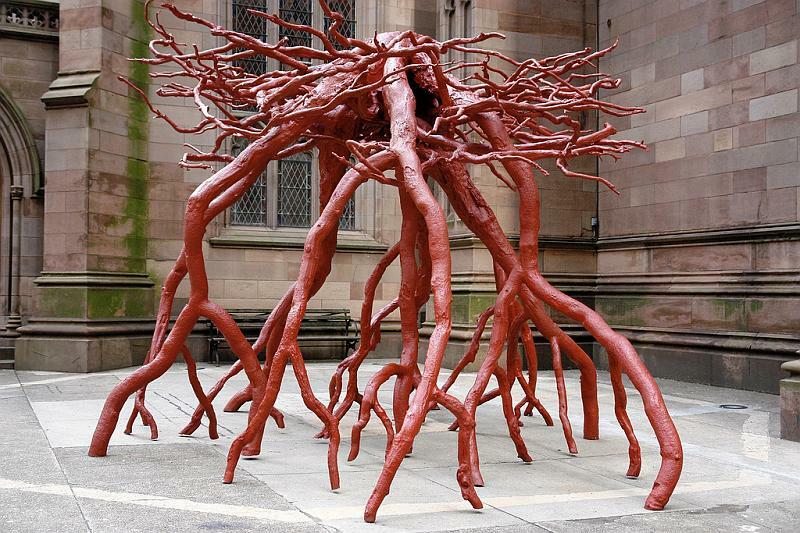 Tobin attracted international attention in 2004 for his "Trinity Root" sculpture memorial near the 9/11 disaster site. It is a 13 ft. tall bronze casting of the excavated stump and roots of a sycamore tree that shielded historic St. Paul's Church while nearby structures were destroyed. Trinity Root was such a demanding project - 20,000 hours - that Tobin decided to turn to a new medium, steel, changing his style from naturalistic to modernistic. Rather than turning the root systems of dead trees into bronze, Tobin now collects 40-foot sections of steel pipe which are sent to New Jersey where a 200-ton machine bends them. The sculptures are then shaped and welded together in his Pensylvania studio. The pieces were transported to the Arboretum on 10 tractor trailers. "The roots evoke communities, families, unseen power and networks all coming together for a shared purpose." This one is 11 ft high. "The legs are anthropomorphic, suggesting images of people dancing or huddling togetherin embrace and collusion. They create a sense of gathering". The exhhibit also includes a few examples of Tobin's other work. 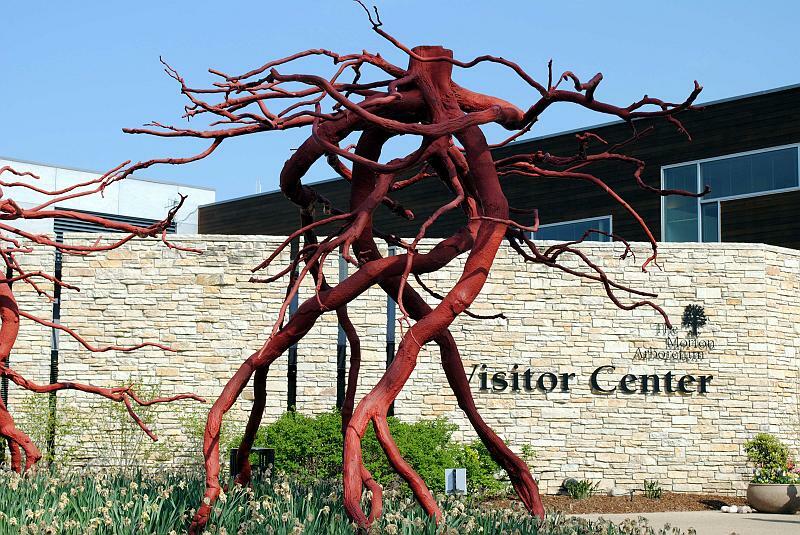 Here are "Romeo" and "Juliet", 9 and 11 ft. cast bronze roots in front of the Arboretums's Visitor Center. This bronze sculpture "Forest Floor" is in the Administation building.